Today, I want to talk about a place that really took me by surprise, Chihuly Garden & Glass. 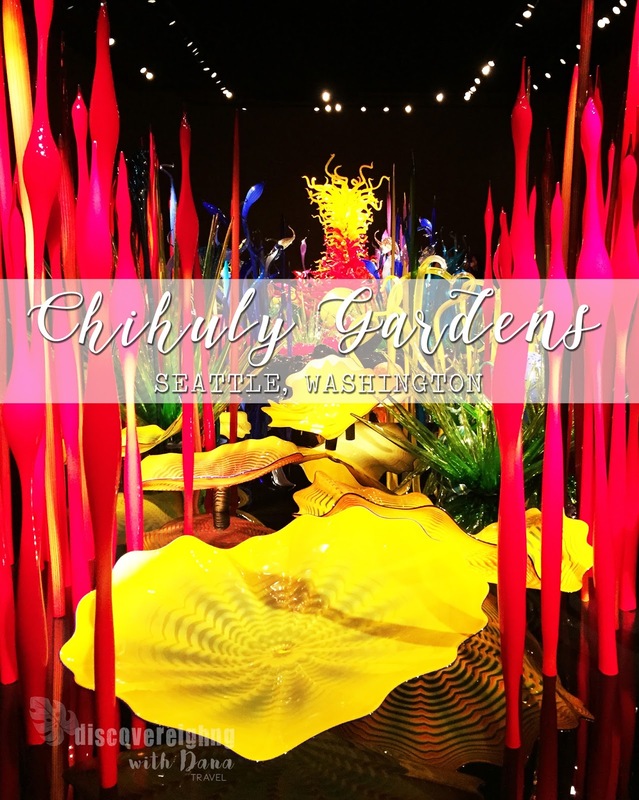 This is a super fun exhibit in Seattle Center showcasing blown glass art by Dale Chihuly. I'd unknowingly seen his art at the Bellagio in Las Vegas, an enormous ceiling installation in their lobby, but didn't realize it was the same artist until visiting Chihuly in Seattle. The exhibit is nestled just below the Seattle Space Needle, making for the most amazing photo ops. For our trip, this was on Lovely's mom's list, and not really on our radar. However, the exhibit blew us away! It is truly INCREDIBLE! The pieces colors, the shapes, the sheer size, and intricate detail were all show stoppers. We were quite amazed the outdoor installations don't break in the elements. Along with the glass art, you'll see glass blowing demonstrations, indigenous art, and more. I put this spot high on my list of Seattle must sees. Hope you'll add it to yours!